Before Disney’s California Adventure debuts the out-of-this-world new attraction, Guardians of the Galaxy – Mission: BREAKOUT! is taking form in a comic book. 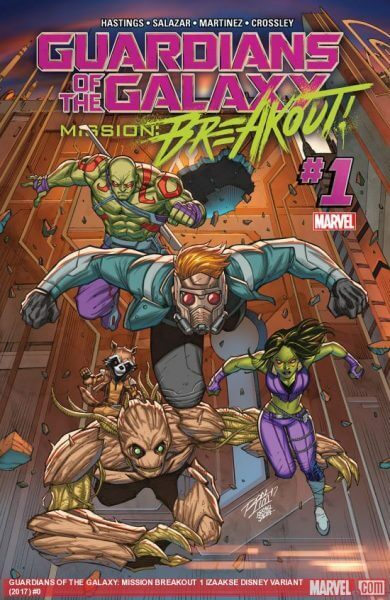 Star-Lord, Groot and the rest of the Guardians will have to escape The Collector’s secure facility in this epic new comic that will give readers a sneak peek of Disney’s new thrill ride, delivering the story behind the attraction that’s replacing the Tower of Terror.